Today, Instagram is one of the best tools to promote your music and business. 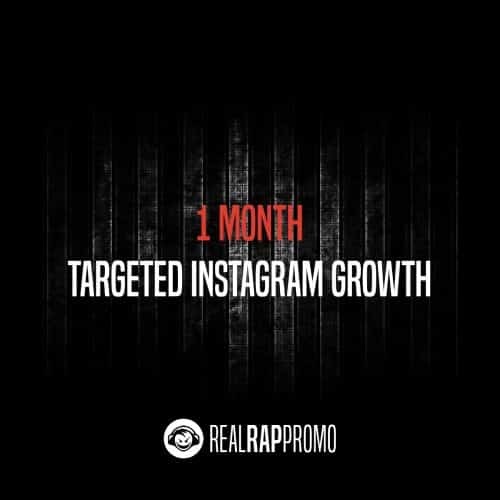 With our Targeted Instagram Growth campaigns, we will target the right audience and increase your engagement. With the help of our growth campaigns, your fan base, music sales, and your chance of getting paid partnerships will increase! We will get you 100% real and active targeted followers. We can target these followers to almost anything; keywords, #hashtags, or another user’s followers. You can expect to gain between 500-3,000 real targeted followers per month. We manually like photos, and follow and unfollow your competitor’s followers in your niche to create an amazing engagement for your account. To get the best results, it’s very important that you post on a regular basis (at least one photo per day, but we recommend 3-6 photos per day). We strongly recommend that you stick to the 20/80 rule, which means that 20% of your posts should be promoting your music and the other 80% should be more engaging posts (such as memes, questions to your followers, photos from your everyday life, etc).